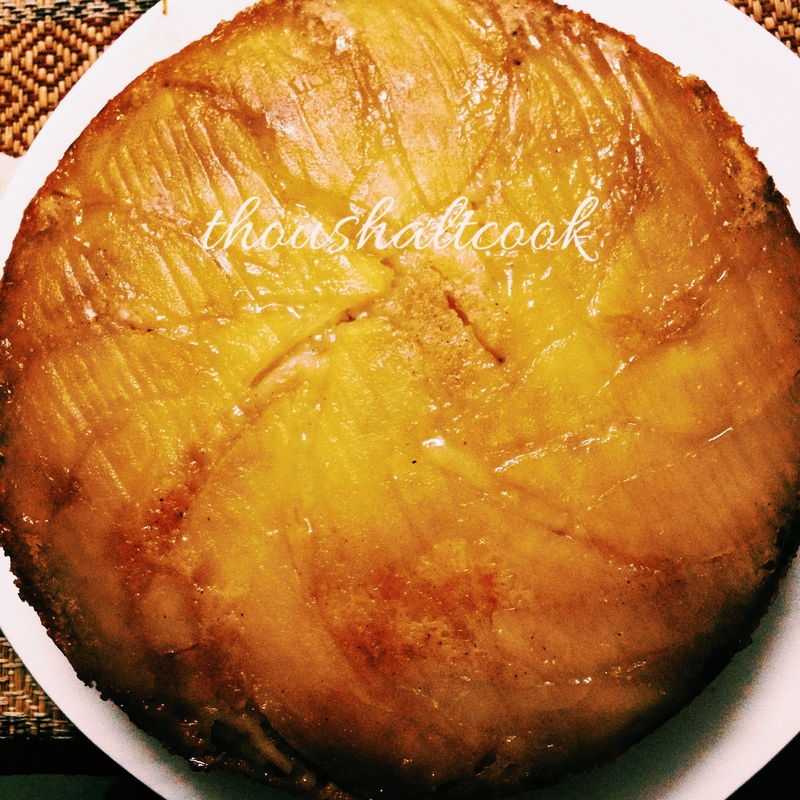 Egg Free Apple Upside Down Cake – Thou Shalt Cook!! 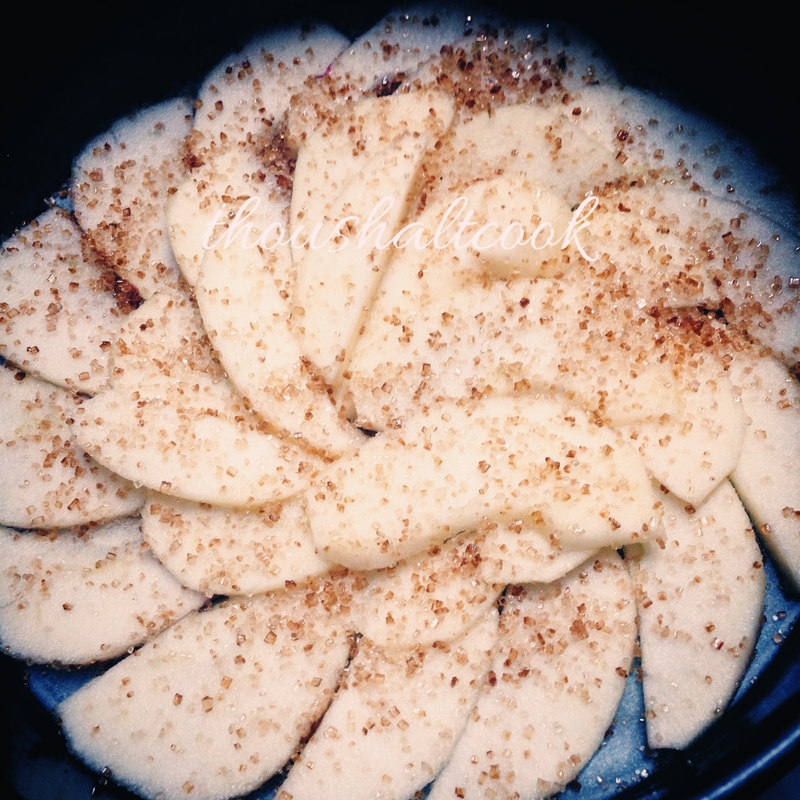 Sift the flour and cinnamon and add half of it to the curd mix. 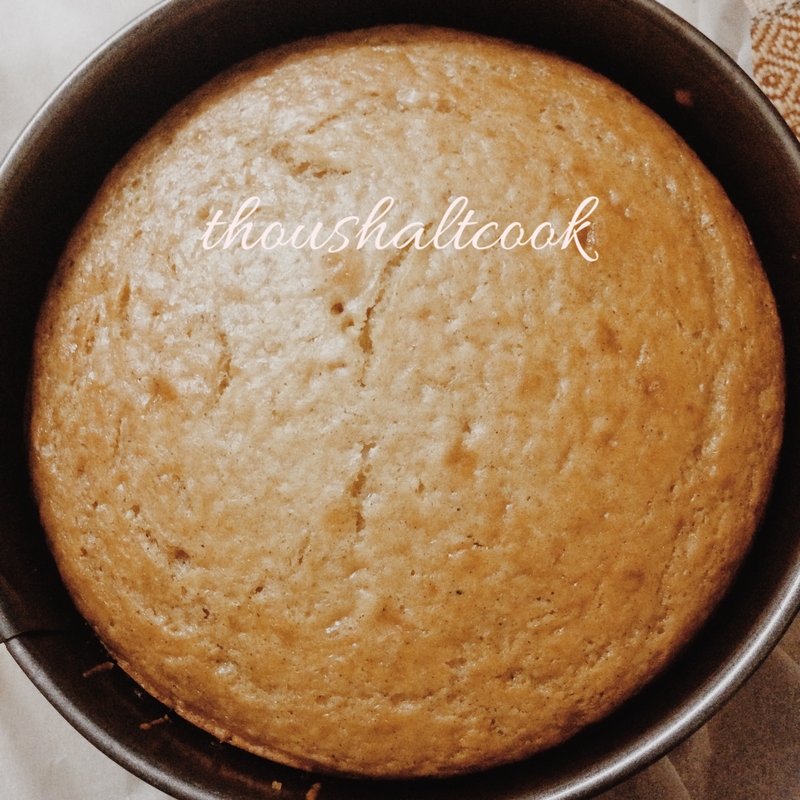 Remove the pan’s side and turn the cake sponge side down on a plate. Keep the butter paper slightly bigger than the base so that the runny sugar and butter can be caught on it. 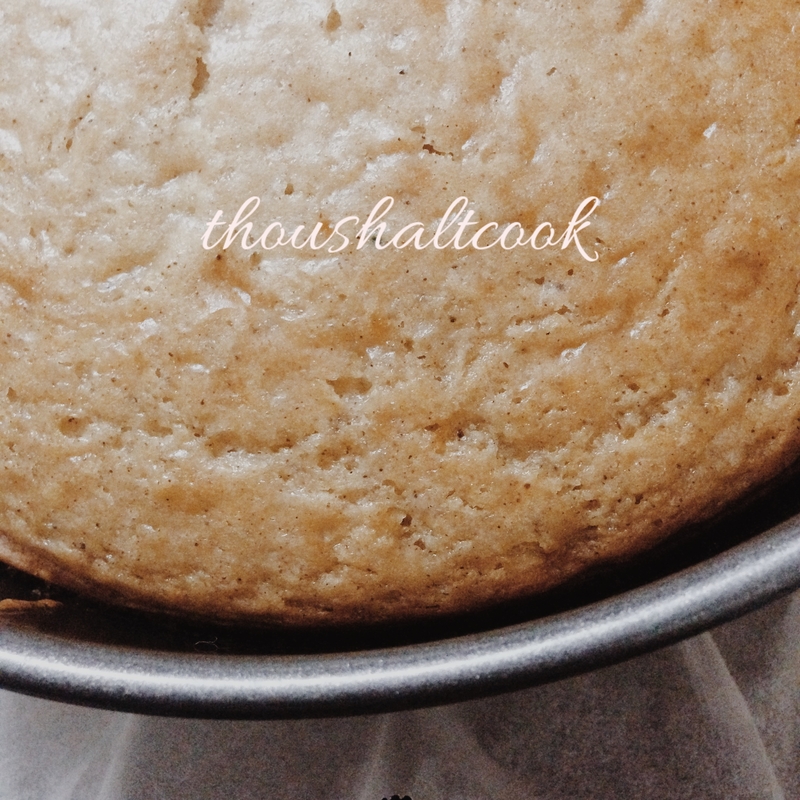 Try to pack the apples as tightly as possible so that the cake batter gets locked on top of it. Someone of it will find a way to the bottom but that is okay.